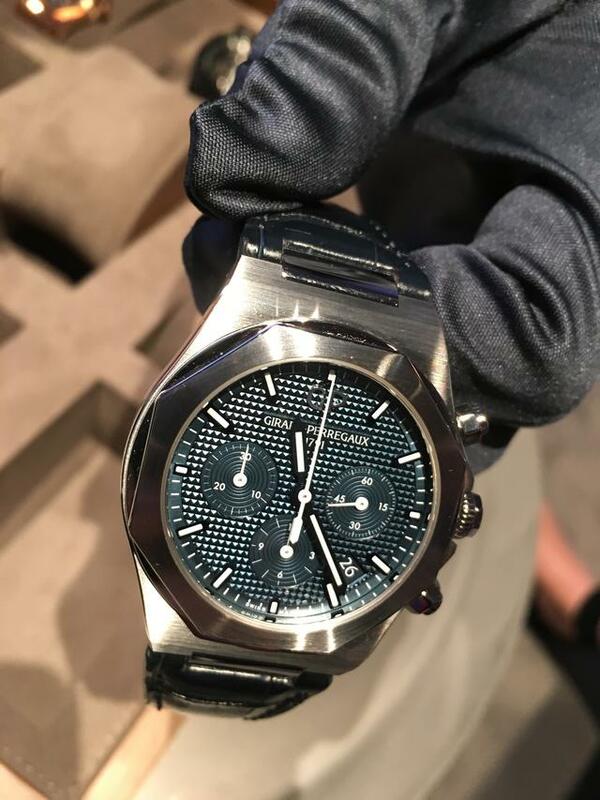 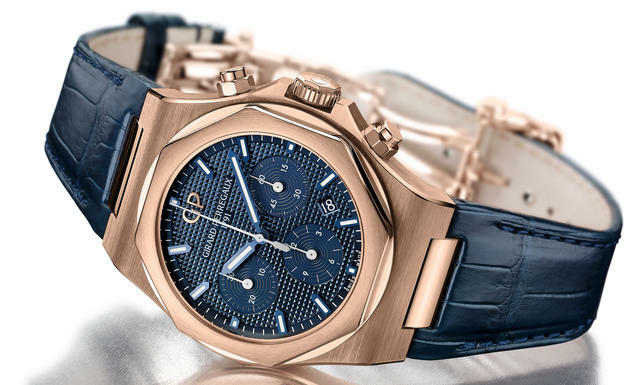 Girard-Perregaux focused on its Laureato collection at SIHH 2018, while also expanding its lineup of complicated models. 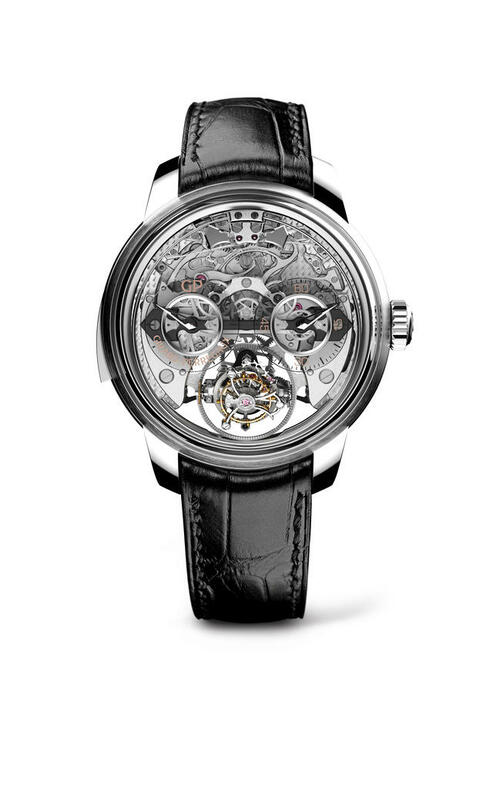 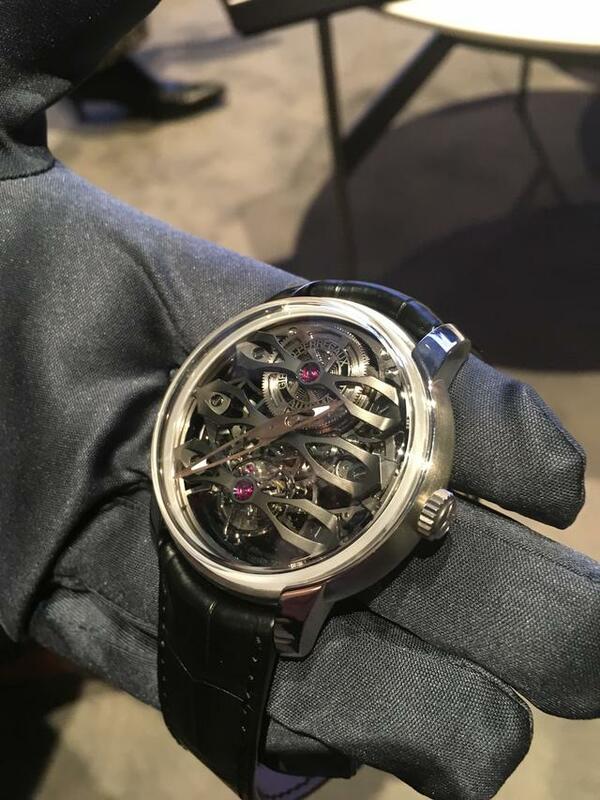 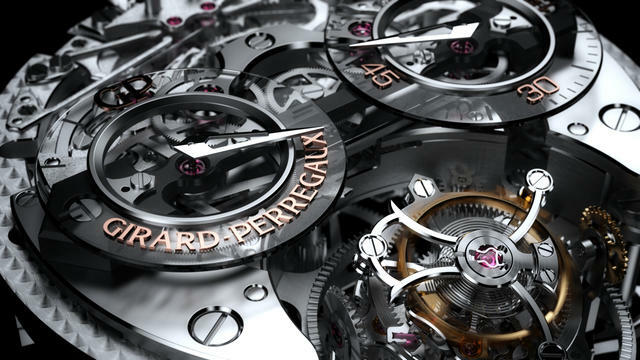 We’ll look at two of the latter debuts, but first let’s eye the Chronograph, certainly Girard-Perregaux’s focus at the retail showcase this year. 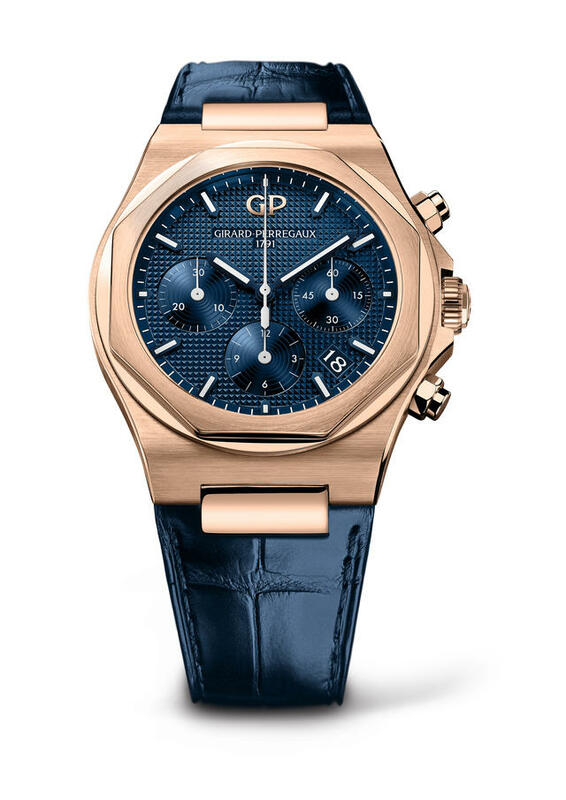 After introducing a broad selection of Laureato designs over the past two years (including several stunning skeletonized versions), Girard-Perregaux has finally added a chronograph to the mix, and results are worth the wait. 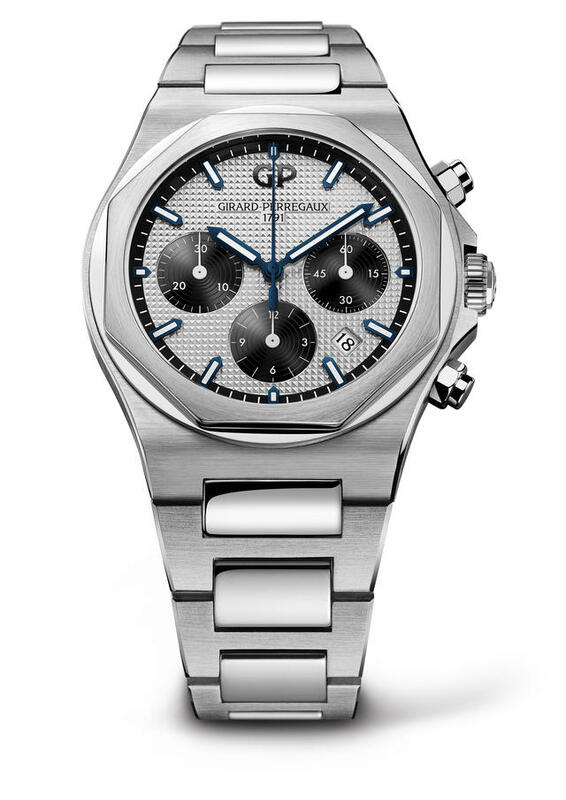 Available with a 42mm or 38mm case, in steel or pink gold, the Laureato Chronograph maintains the spirit of the line with a polished octagonal bezel, Clous de Paris-decorated dial (silver-toned, black or deep blue) and integrated strap or bracelet. 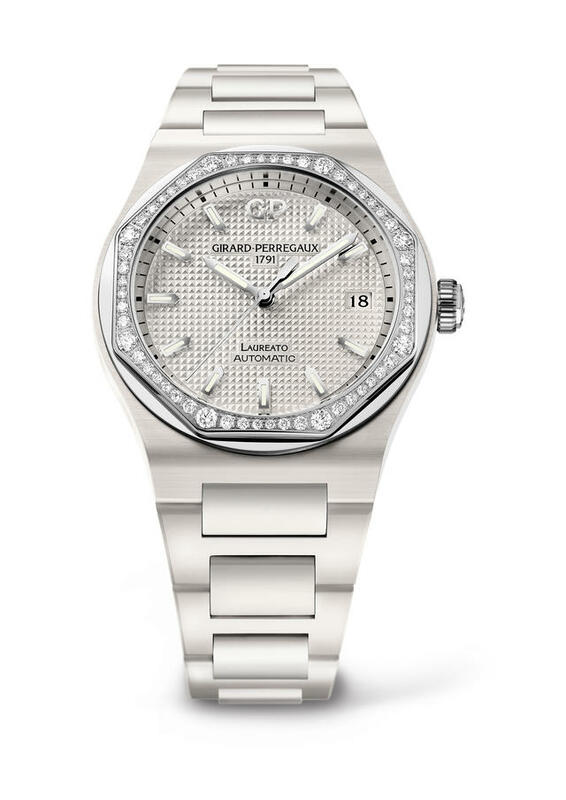 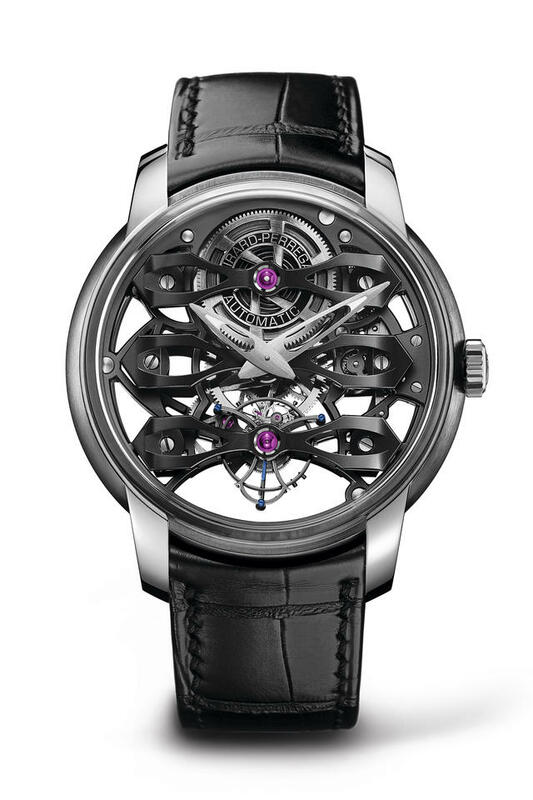 We’ll show you more debuts from Girard-Perregaux, including the impressive Laureato Ceramic collection, the latest Classic Bridges models, and the Cat's Eye Day & Night High Jewelry collections in future posts. 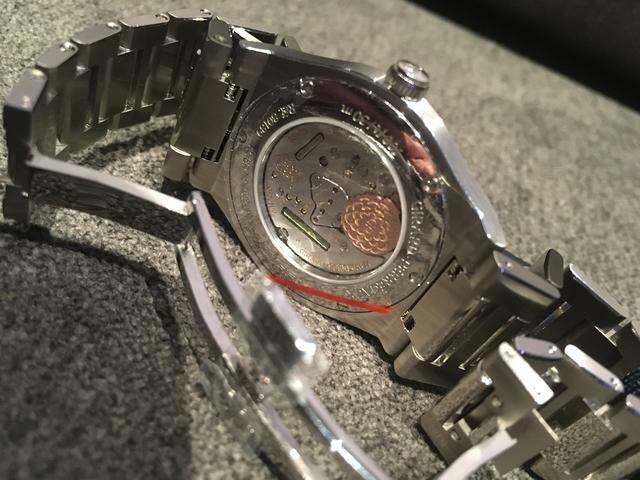 Girard-Perregaux Laureato 34mm Royalty Limited Edition, showing its GP quartz movement through the back. 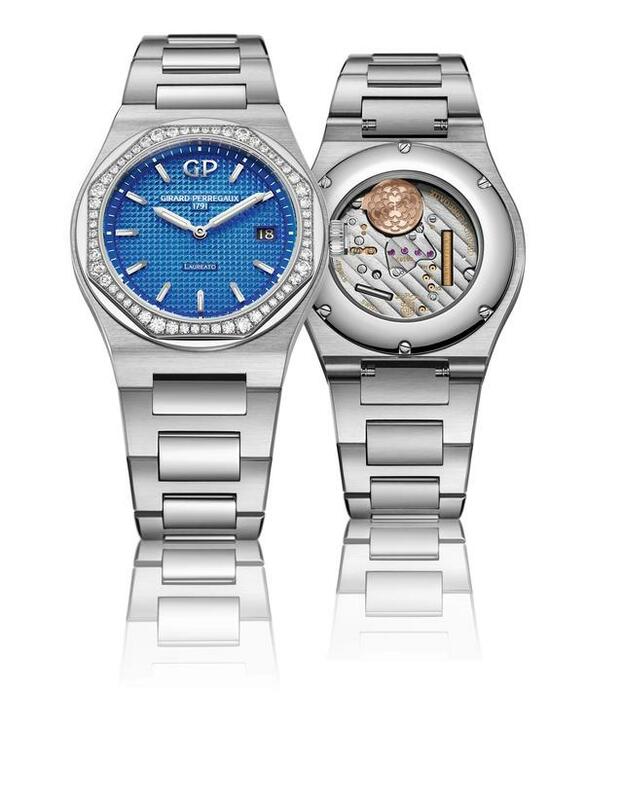 The new Laureato 34mm models display the GP quartz movement through the back.